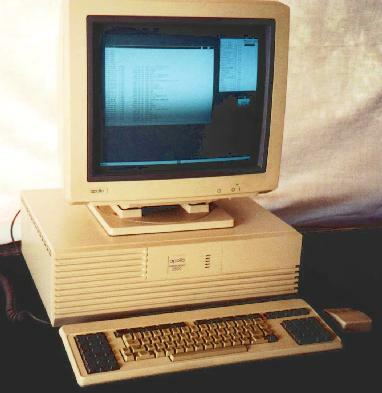 The Apollo was a powerful workstation of the 80s. I was given a pair of these from my good friend, Robin (thank you!!! ), with whom I worked at (IBM/Motorola) Somerset. She had used these in the design of Stardent machines, which, by an odd coincidence, I used at New Mexico State University during the MAPER (Multi-sensor Analysys Program for Environmental Restoration) project. 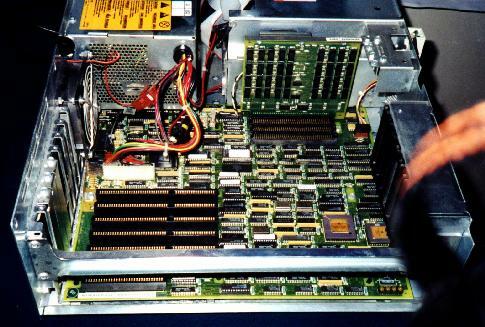 The DN 3500 has a Motorola 68k processor with, of all things, an ISA bus. This is odd because I know of no other machines which combined a Motorola-based processor with an Intel-PC oriented bus. I understand that there are several standard PC ISA cards that work with the Apollo (in other words, drivers exist for them), such as a Western Digital SCSI adapter and the 3COM EtherLink II (3c505). Most users of the Domain-series machines did not, however, use standard ethernet, they used the built-in token ring. In fact, Apollos running DomainOS were well known for their easily-configurable, reliable networking. Even Hewlett-Packard recognized this, for when they acquired Apollo, they kept the Apollo name on future workstations.